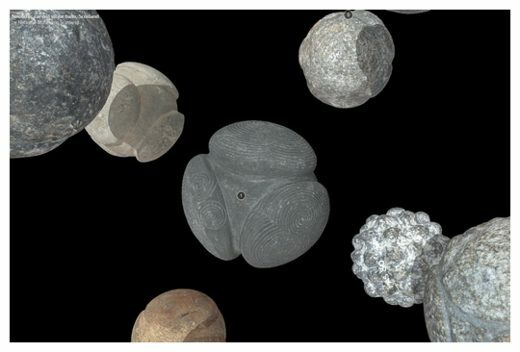 Some of the most enigmatic human-made objects from Europe’s late Stone Age – intricately carved balls of stone, each about the size of a baseball – continue to baffle archaeologists more than 200 years after they were first discovered. 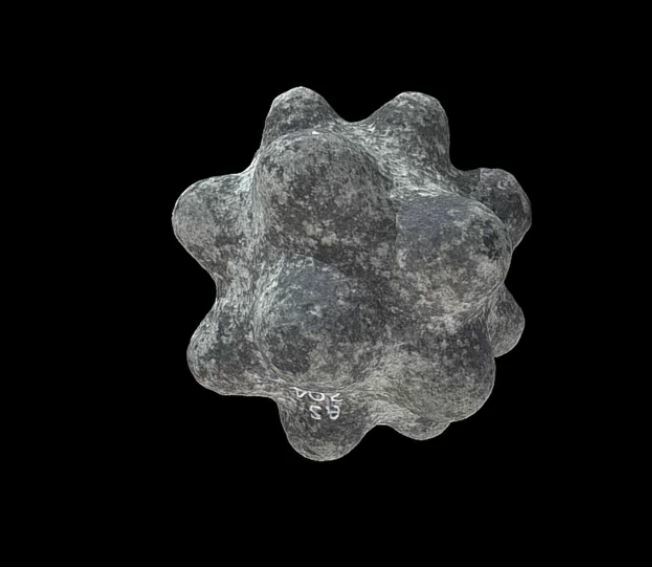 Three-dimensional models of Neolithic carved stone balls — some of the most enigmatic objects from Europe’s late Stone Age — are now online. 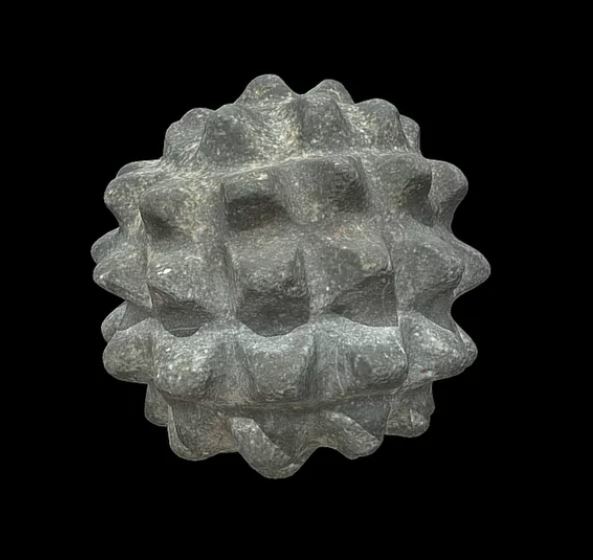 The online collection includes the most famous Neolithic carved stone ball, known as the Towie ball, which is thought to be around 5,000 years old. 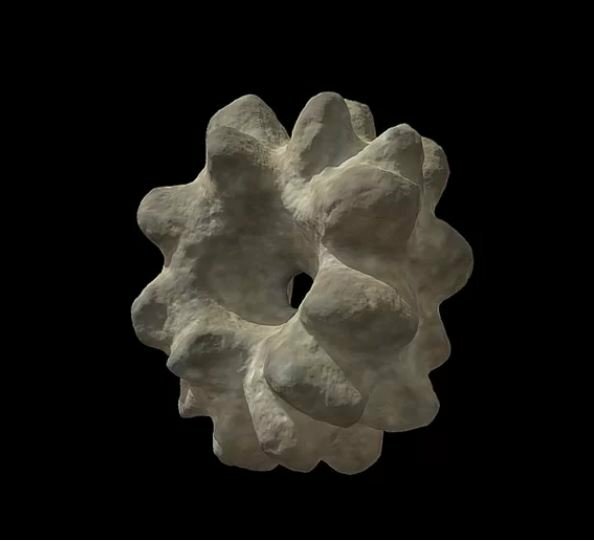 Archaeologists still don’t know the original purpose or meaning of the Neolithic stone balls, which are recognized as some of the finest examples of Neolithic art found anywhere in the world. But now, they’ve created virtual 3D models of the gorgeous balls, primarily to share with the public. In addition, the models have revealed some new details, including once-hidden patterns in the carvings on the balls. One theory is that the knobs on many of the carved stone balls were wound with twine or sinew, which allowed them to be thrown like slings or South American bolas. Other theories describe the balls as objects of religious devotion or symbols of social status. 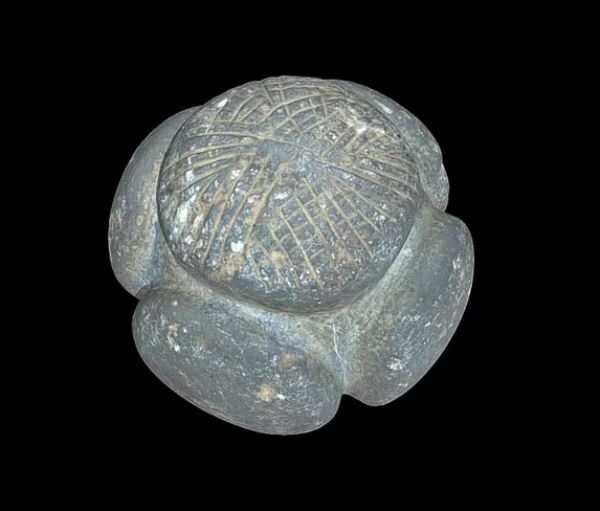 Spirals like the patterns carved into the Towie ball are a common motif in Neolithic art in many parts of Europe. More than 500 Neolithic carved stone balls have been found, mostly in northeast Scotland but also in the Orkney Islands, England, and Ireland, and one in Norway. 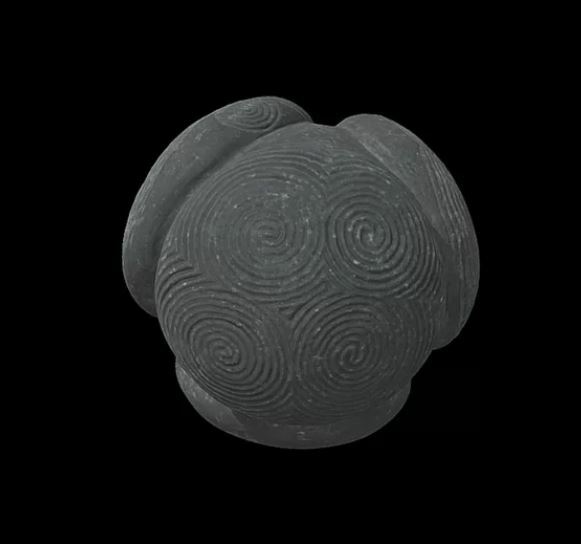 Although only a few are now on display in Edinburgh, a total of 60 3D models of Neolithic carved stone balls from the museum collection have now been posted online – so that anyone interested in ancient wonders, anywhere in the world, can examine them in detail and from any angle. The online collection includes the most famous of these objects, the Towie ball, which was found near the village of Towie in northeast Scotland around 1860. 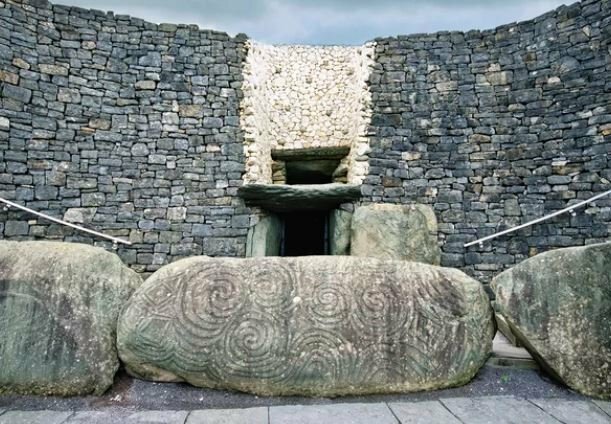 The ball is carved with intertwined spiral patterns on three of its four lobes, and is recognized as one of the finest examples of Neolithic art ever found. Each is about the size of a baseball or orange, and has been laboriously crafted with stone hand tools. But archaeologists don’t know what the carved stone balls were used for. The 3D models have been created from precise three-dimensional photography of 60 of these mysterious objects from the collection of National Museums Scotland. Creating one of the carved stone balls must have been a lengthy process – several of them show signs that their design evolved as they were worked on, perhaps over many years or even across generations, he said. In any cases this is awesome artwork! These people they were clever than we just now in the epoch that we are having to live. Some of the designs are almost like those found in crop circles. Think there may be a connection?